I'm currently in Puerto Escondido, Mexico for a bodyboarding contest/video trip. I ended up 5th overall in the DK division and have had a great time catching up with friends. If you've ever visited PE, you'll know that this place offers up some of the best sunsets on the planet. The tropical conditions delivers the ingredients for some spectacular eye candy. As the sun began to go down the other day, a rain and thunder storm followed. A bunch of us cruised up to the insane open air terrace of the Aqua Luna hotel and prepared for the action. This was the first time that I was going to attempt to shoot lightning. What I walked away with was insane! 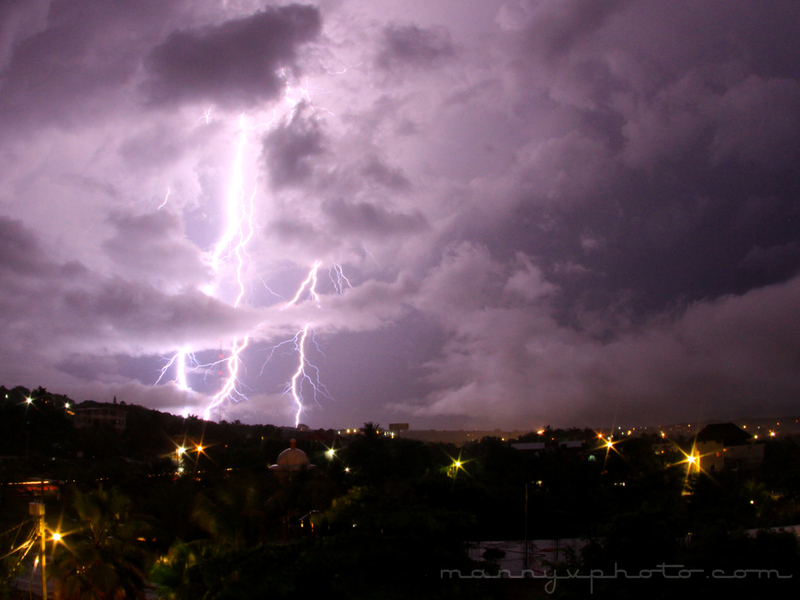 I knew I wanted to keep the shutter open long enough for me to capture bolts of lightning dancing across the skies. So I made a few adjustments on my Canon 7D and ended up using Av (aperture priority) with the following settings: f/29, ISO 1000. When I pressed the trigger button, the shutter would remain open for about 15 seconds or so. I would do this when I thought the lightning would strike. I used my Tokina f/4.6 10-17mm at 17mm. I looked through my viewfinder during a lighting strike to help me frame the scene. Whether this is the right or wrong way to shoot lightning, doesn't matter... I still got a few nuggets. 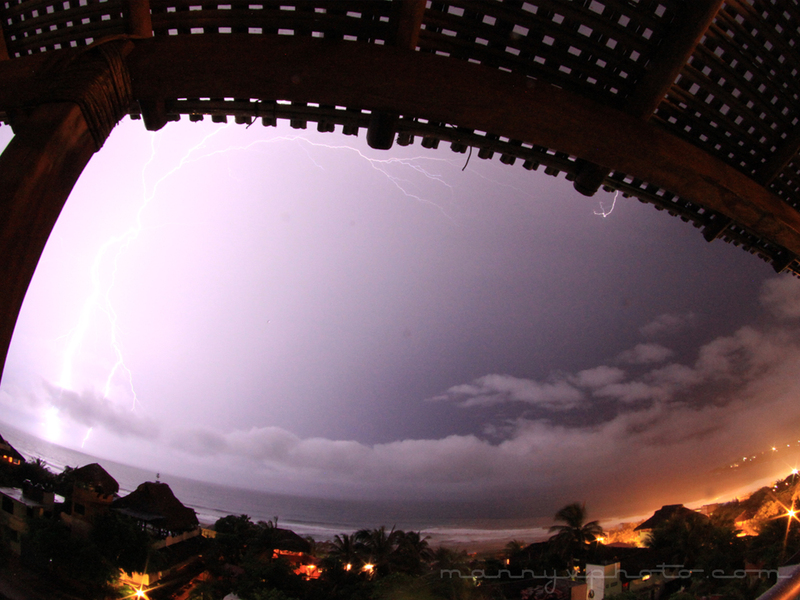 Lightning strikes in Puerto Escondido, Mexico. Yeah Manny! That first one is INSANE... how's that wide angle tokina... just a workhorse lens... does it all. Thanks John. Yeah, the Tokina is holding it down! Get home in a few... need to catch some SUP waves!